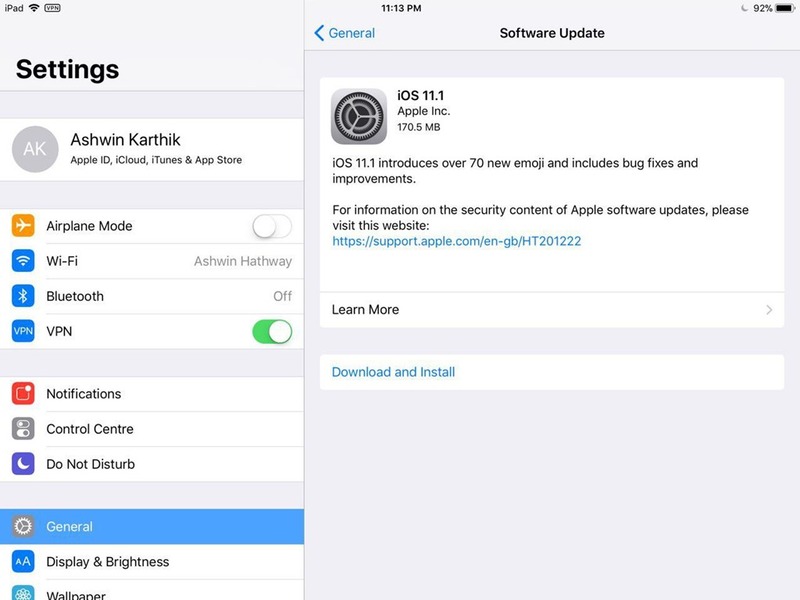 The iOS 11.1 Update from Apple has begun rolling out, and here's what's new in it. The update brings 70 new emoji including new food types, animals, mythical creatures, smiley faces, etc. It also fixes some bugs in iPhones which caused photos to appear blurry, Live Photos to play slowly, lags when swiping between screenshots, issues when displaying the People album when the user restored data from an iCloud backup. 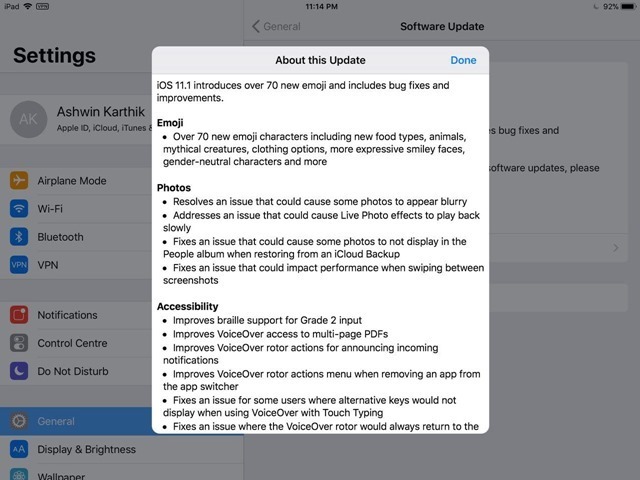 In addition to this, there are various accessibility feature improvements especially for VoiceOver. Now to the cool part about the update, 3D touch returns to iPhones with the iOS 11.1 update, and you now access the app switcher by pressing the edge of the device’s display like before. 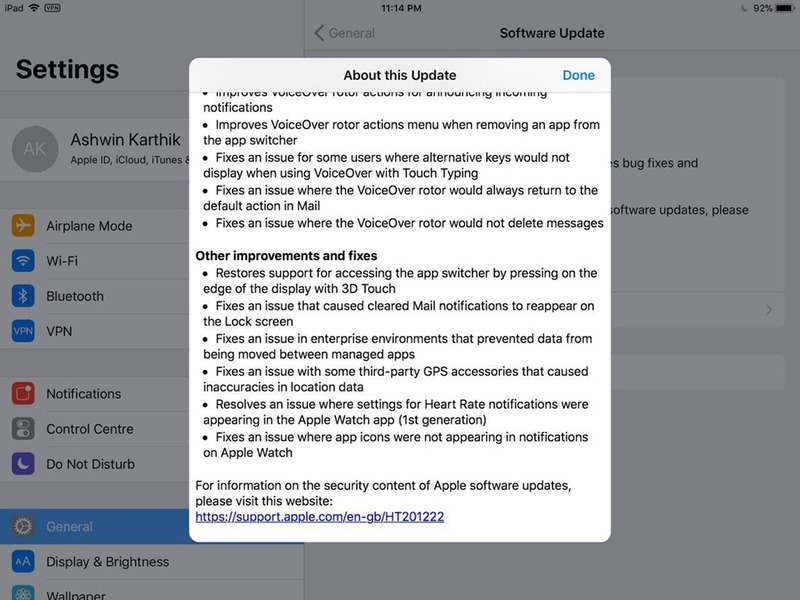 Additional bugs which the update patches includes fixes for recurring cleared Mail notifications on the lockscreen, GPS inaccuracies in third-party GPS accessories, and notification issues on Apple Watch. You can download the update by opening the Settings > General > Software Update on your iPhone, iPod, or iPad. It is too early for us to comment on the quality of the update. We have been using it on our devices for about 10 hours and everything seems to be working fine.This update seems to be the same as iOS 11.1 beta 5.